Chelsea's World Cup-winning midfielder N'Golo Kanté is a transfer target for both Real Madrid and Juventus ahead of the summer window. The 27-year-old has spent the last three years in west London after arriving as a £32m signing from Leicester City, where he starred alongside the likes of Jamie Vardy and Riyad Mahrez during their historic title-winning campaign. 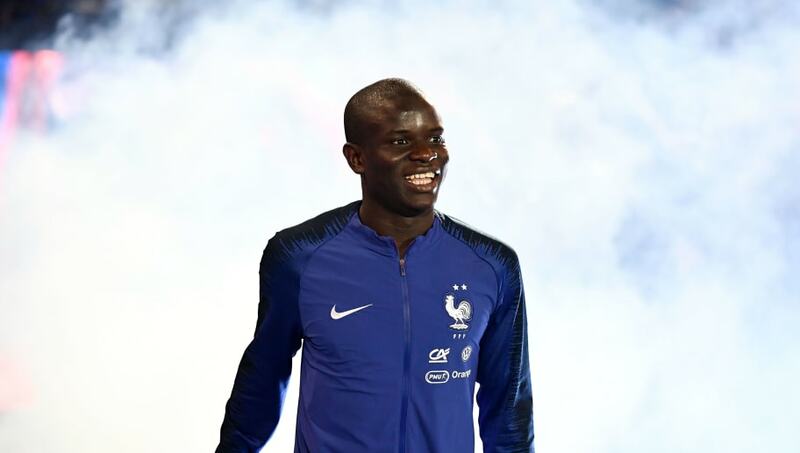 Kanté signed a contract extension in November and is now tied to Chelsea until 2023, but a report from Corriere dello Sport (via CalcioMercato) claims that the France international is now being eyed by Juventus and Real Madrid. Both clubs are looking to make serious improvements to their squads this summer ahead of the new season, with Juve specifically concerned that next season's title defence will prove to be much tougher than in recent years. Chelsea's Kanté would likely walk straight into Juventus' starting lineup, leaving the likes of Blaise Matuidi and Emre Can fighting for first-team football in Turin. One major issue for the Bianconeri, however, is the fact that Kanté is currently earning €18m-a-year in wages at Chelsea, more than double what Paulo Dybala pockets with the Serie A giants. Real Madrid, meanwhile, will be looking to have a top to bottom makeover following their decision to re-appoint Zinedine Zidane as the club's manager. Los Blancos are currently sitting third in La Liga, closer on points to Deportivo Alavés than Barcelona at the top of the table, while they're also out of the Champions League and Copa del Rey. The club want to bring in some extra competition for midfielders Toni Kroos, Luka Modrić and Casemiro, identifying Chelsea star Kanté as the ideal player to fit into Zidane's side.